Global dairy prices are the 'most unpredictable' - so why is everyone trying? In recent weeks, the news media has been reporting wildly opposing views on short term dairy prices. ASB’s Nathan Penny has been predicting a 2016/17 payment that will start with a ‘6’. In contrast, Westland’s Chair Matt O’Regan and CEO Rod Quinn are saying that they see ongoing gloom for up to two years. Rabobank see improvement but not until 2017. And Fonterra’s John Wilson has almost apologised for past failures with his acknowledgement that predicting prices is indeed difficult. Sheep-meat price predictions have also been wayward in this last season, with spring optimism from the meat companies largely unfulfilled. It seems that we never learn that commodity prices are by their very nature inherently unpredictable. And the more global the market, the more unpredictable it all becomes. 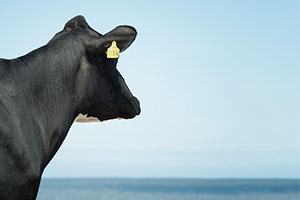 That means that dairy – which has become increasingly global – is now one of the most unpredictable commodities. It is time for all commentators who provide estimates about forthcoming dairy prices to emphasise the uncertainties. I have been arguing for some years that all dairy price projections should have a specified range of prices associated with them. Early in the season, the range will always be wide. Past history tells us that Fonterra often gets its initial May forecast wrong by somewhere between one and two dollars. As the season progresses, then the range can be gradually drawn in. For example, for the current season, Fonterra should be telling its farmers, not just that the best milk price estimate is $3.90, but that it could end up anywhere in a range of ‘x to y’. This late in the season, the range should be about plus or minus 20c. Looking forward to the forthcoming 2016/17 season, at this early stage of prediction, the final payout could end up starting with a 3, 4, 5, 6, or 7. Nobody knows, be it Fonterra or the ASB! I often hear criticism from farmers about Fonterra’s ability to predict milk prices. But the criticism of Fonterra should not be for getting it wrong. The criticism should be for Fonterra ever pretending that it could get it right. I have little doubt that we are going to see good prices again for milk. This is because the best predictor of good future prices is current poor prices. And then further down the track the best predictor of subsequent bad prices will be the forthcoming good prices. But what none of us can predict is the timing. This is because so many random and unpredictable events get in the way. Looking forward even a few months, there are lots of uncertainties. If oil prices rise, then the oil-producing countries from the Middle East, plus Indonesia, Algeria and perhaps Venezuela, could come back into play. It’s only a few years back that Venezuela was our biggest market for whole milk powder! However, their current problems do go beyond oil. If the Americans decide that they need Russia as a partner in the Middle East, rather than an enemy in the Ukraine, then the Western countries will remove the financial sanctions against Russia and the Russians will then respond by removing their counter sanctions on European cheese. If the Chinese dairy industry reduces its own production owing to current low prices, then they will need more of our milk powder (which is their most economic option). And right now there are indeed some signs that China is increasing its dairy imports; not just whole milk powder, but also butter, cheese, skim milk powder and whey powder. But the data is ‘flakey’. January data is affected by tariff issues that make it a desirable month to import, and February is always messy because of Chinese New Year. Whether any of the above mentioned international events will happen, none of us can be sure. And then there is the imponderable as to whether or not Europe will continue increasing production in the face of poor prices. It is clear that many European farmers are losing money, but the timing around the changing balance between those who cut their losses by decreasing production, and those who increase their production so as to spread their fixed costs over more production, is unclear. Also, there are increasing European inventories to clear. One of the biggest uncertainties always relates to exchange rates. In the short term, all of the companies hedge against the US dollar, and so the impact of any change is minimal. But after a lag of about six months, the effect of a sustained US exchange rate to the NZ dollar of say 60c versus 80c is worth about $2 per kg milksolids. And within the last ten years we have fluctuated both well below and well above the 60c- 80c range. Ironically, the easiest thing to predict is that New Zealand production will decrease next year. Whether or not that decrease is a smart move is debatable. Most of the farmers I know are actually holding their production, but then they tend to be farmers who are not being pressured by their banks to generate immediate cash. Instead, they are positioning for the longer term. But yes, national production will probably be back 6%-10% next year, with most of the reduction borne by Fonterra. Westland may also receive less milk. Open Country has waiting lists so they should be at capacity assuming they have got their calculations right However, Synlait, Oceania and Miraka should more than hold their overall production, by taking in more farmers to fill increasing capacity. Tatua should also hold its production, as its farmers have no reason to hold back. However, it is Fonterra’s declining supply that will dominate at the national level. Trying to put all of the global forces together is like working through a maze. On balance, my own judgement is that there will be gloom through into 2017, but then prices will hopefully rise. But that is not a prediction. Rather, it is a hope which, finger crossed, will come true. The rise could even come earlier, but that seems unlikely without soaring Chinese demand. Looking out further, I am often asked as to what I think the average prices will be for milksolids over the next ten years. If pressed for an answer, I will typically suggest somewhere in the sixes. But in reality I am being asked the wrong question, or at best, I am being asked just the first part of the right question. What people should also be asking, is what are the likely lows and highs the next ten years. If they were to ask that question, I would say that the lows could well be less than $4 and the highs could well be at least $8. But I don’t ever recall anyone ever asking me what I think those lows and highs will be. And that tells me that as an industry we have not really come to terms in our thinking about global commodity markets. Commodities, global markets, production cycles, disruptive events and price volatility all go together. It is the nature of the commodity game. Somewhere ‘out there’ are some potential disruptive events, both positive and negative, which none of us have thought of. Or there could be events which some have given warning of, but which conventional wisdom has dismissed. I see the biggest risk, which most people are currently ignoring, as being a chill over global dairy markets from forthcoming issues with A1 beta-casein. With new science now coming through, I am watching that closely. And the dealing with the bank selected numbers that settle the loan, rather than the actuals that service it..
As mused before a lenders average, becomes a minimum no less. Fonterra has been using 'ongoing market volatility' as a corollary in any predictions it makes, as a justification for ongoing poor performance. I would suggest that given the increasing commodity globalisation and apparent associated market shocks and volatility, the promotion of supplier cooperatives is essential to manage and endure such conditions. I agree we should also differentiate our product from the global morass, and qualities of milk derived from cows fed solely pasture seems to be increasingly demanded. I realise this model may sit uneasily with farmers who have based their business on global commodity market (and tax free capital gains of course), and given their relatively low debt in part from requisitioning previous generations cooperative capital, have subsequently adopted increased supplementary input models. Why do we continue price our milk over a whole season. Why not break it down into smaller units that would be much easier to predict. We could then do away with such things as capacity adjustment and simply pay what the milk is worth to Fonterrra at that point in time. It would then mean the shareholders taking on the actual risk associated with manufacturing the milk and financing the deals rather than bludging of the suppliers cashflow all the way to October. In relation to the inability to predict the milk price I'll reiterate something I've said before, the global price has not been volatile it's Fonterras predictions that have, it's actually been quite stable for two years now all be it very low. Seems to me therefore that Fonterras milkprice predictions is as much about hope and politics as it is reality. We just had the bank manager ring , he wants /needs to take some photos of the farm. Anyone know why? Rabo appear to be doing it to all their clients, my place got photographed before christmas. maybe he's taken up photography? His work IT policies won't let him access google maps? Just send him some pics from any old farm, or do they want to send somebody out to you? I prefer industry comment from Keith Woodford et al., rather than Jamie Mckay, unless it's rugby analysis. No...Sorry....I think I would rather go...Vegan, like my kids. And I helped milked cows..until I left school. Scale is for making money, not decent stuff to consume, fed on god knows...what. Do you remember what real milk tasted like....straight and no major adulteration. Oh for the good old days..elf and safety aside. I think I shall go without. Its the how that delivers the culture you assume. Gary's gone (he who was a dairy price bull). and as we know Fonterra (Bonlac) FGMP price chained to MG.
however, how will the MG supply support package (being FMGP up to $5.47 be counted in the Fonterra calculation). Dairy farmers fear a profit downgrade from Murray Goulburn will lead to widespread cuts to the price they are paid for their milk, even if they don't supply Australia's biggest processor. Units in Murray Goulburn's listed trust have been suspended from trade since Friday while the co-operative revises its earnings outlook in the wake of a deteriorating global dairy market. Investors are preparing for a substantial profit downgrade when Murray Goulburn emerges from its trading halt on Wednesday. Meanwhile, farmers fear the co-operative will slash the farm gate price, despite vowing to maintain it at $5.60 only two months ago. MG off 34% on say a week and a halfish volume by lunchtime.